Los precios de los productos y la disponibilidad son correctos a fecha 2019-04-20 09:03:40 BST, pero pueden cambiar. La información de disponibilidad y el precio correctos serán los que se mostrarán en http://www.amazon.es/ cuando finalice la compra. 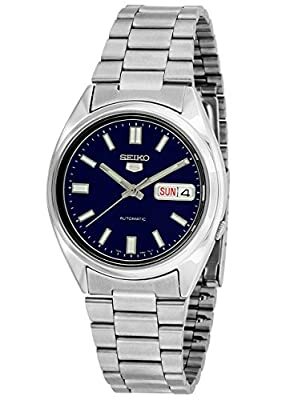 This mens Seiko 5 Automatic watch has a stainless steel case and bracelet, set around a blue dial includes a date and day window in dual languages, English & French. 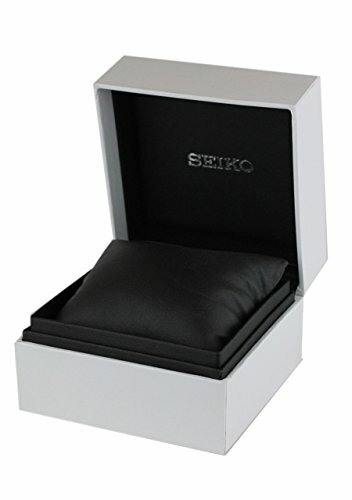 This watch has a automatic movement, which means it is a mechanical watch that uses the motion of your body to wind the watch. Please be aware this watch needs to be actively worn for at least 12 hours to function correctly. 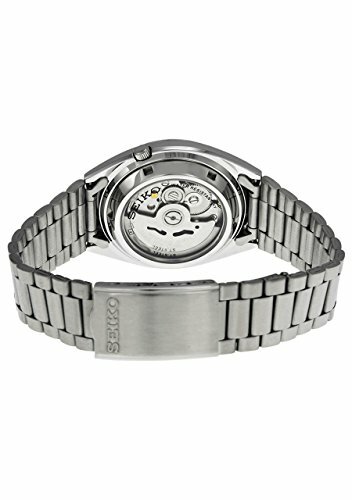 Please note timing functions: Traditional automatic watches take their power from the movement of your wrist. The movement of your wrist winds the watch up on a constant basis. 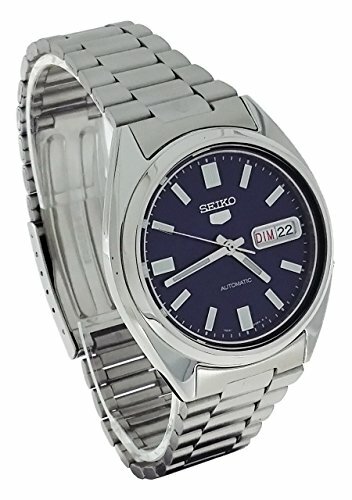 Inherently automatic watches have a tolerance of +- 25 seconds a day. Cumulatively this can be as much as 12 minutes in a month. 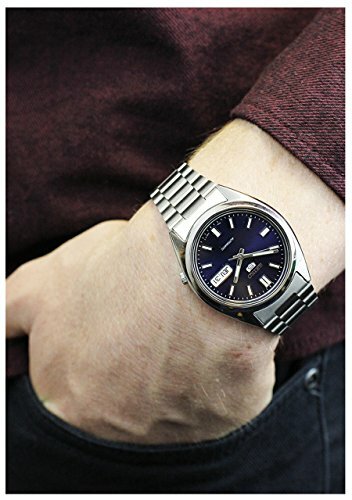 This is not taking into account that leaving an automatic watch off for more than 36 hours will result in the watch stopping and needing to be re set. This gain/loss of time is normal and is part of the function of an automatic watch. Please take this into account when purchasing your watch.